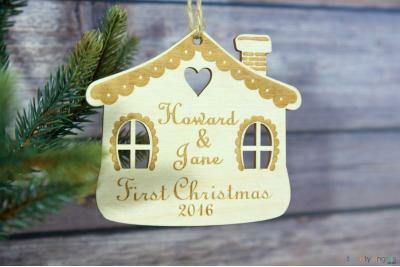 Christmas comes but once a year, and when it does we at Twenty Fingers want to make yours extra special and sparkly, with one of our lovely tree decorations! Decorations for the grandkids? We’ve got them! First Christmas together? Mark the occasion! 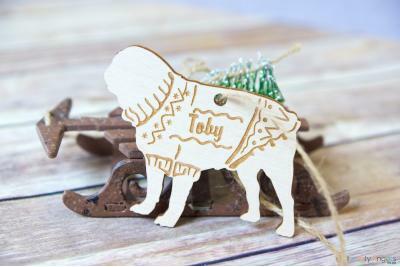 Keepsakes for dog lovers, new babies, and first family Christmas! 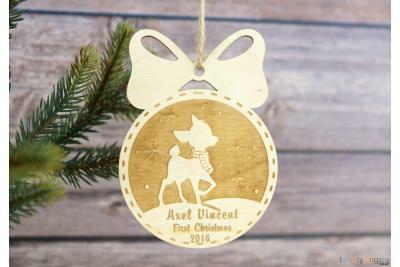 Why should I choose a personalised Christmas tree decoration? 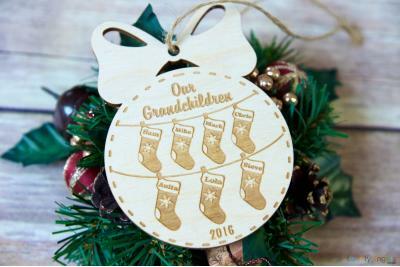 Personalising your Christmas tree decoration couldn’t be easier! 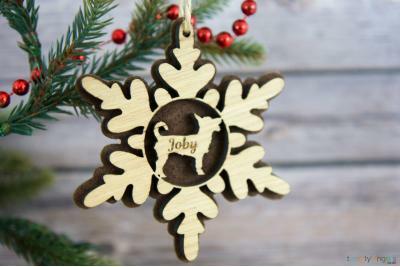 At Twenty Fingers, we love to make you personalised Christmas tree decorations super special. 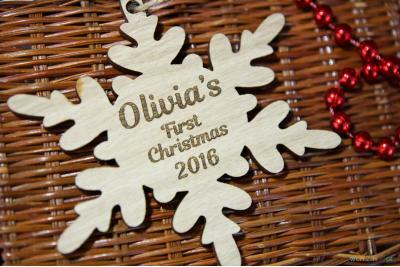 We have so many pretty Christmassy styles to choose from, and personalising them takes just a few minutes! And in two shakes of a reindeer’s tail we’ll get to work! FREE UK Delivery and Returns – jingling all the way! 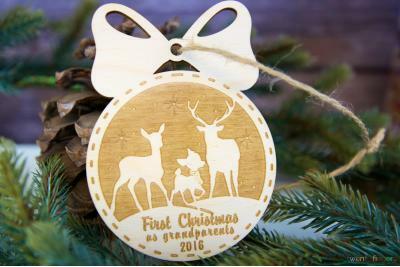 When you place your order, our lovely little elves here at Twenty Fingers will get straight to the workshop, creating something special for your Christmas tree. 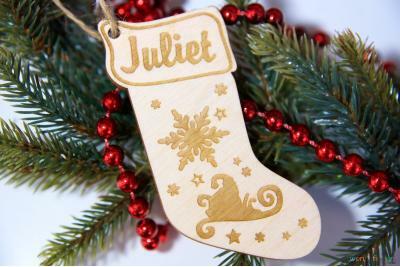 5 sleeps later (or thereabouts), you'll be the proud owner of one of our smashing wooden tree decorations – all personalised and everything! How fab are our products? Very. So, check them out and see for yourself! 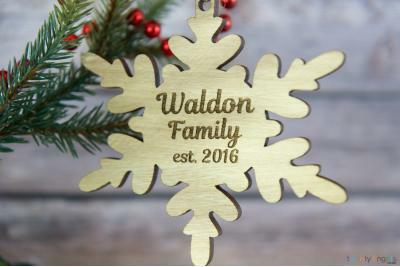 Order now and let us make your tree the star of the show!